| Interview by Daniel Codella conducted on March 2, 2010. On the last day of Winter NAMM 2010, we were greeted with hugs and praises by an enthusiastic stranger. "I love FourTrack, I use it all the time!" he told us. His energy was infectious, and all of us at the booth were won over by his charm. We asked him for his contact information so we could let him know about our new releases, and the name he wrote down was "Daniel Bedingfield." I thought he looked familiar, but as soon as I saw the name in writing, my jaw hit the floor. Before me was multi-million selling singer-songwriter, Daniel Bedingfield, pop sensation and brother of equally notable singer Natasha Bedingfield. Daniel has had a string of top ten hits in the UK, and won global praise with his track "Gotta Get Thru This," in 2001. In addition to his own albums, Daniel has contributed vocals and written songs for many other artists, including American Idol finalist David Archuleta. Daniel is perpetually writing music, and FourTrack is his weapon of choice for getting ideas down wherever he may be. We had a chance to speak to Daniel by phone and ask how he uses FourTrack to record his musical ideas. Well, I've just finished recording my album and I'm figuring out a release date. That's pretty exciting. It's a very varied album. I'm excited by it, a lot of it was recorded on the go. FourTrack is my favorite on-the-go, handy software. How do you use FourTrack? I start a new song, and then I just launch into whatever is in my head. I don't use the metronome, I start singing and let my body set the tempo. I usually put down a bass line and a beatbox at the same time. If the song is not a beat based thing, I'll start with the main melody. I'll often record an idea while I'm climbing, like on top of a rock face. I'll ask them to take up the slack and I'll sit there on the rock face and sing into my phone and then continue climbing. I also do it alot while I'm jogging. Usually it hits me at all kinds of odd occasions, and I like to take advantage of the acoustics of different spaces. How has FourTrack helped your songwriting process? It helps me get my ideas down immediately and in multiple layers. Basically, I've been using my iPhone to record ideas but they often come with more than one part. I've had to sing these parts linearly, but that's been very frustrating because you can't really hear the interplay between parts. With FourTrack, I can put the idea down exactly how I hear it. When I hear a song, I almost always hear the beat, the bass line, the melody, and harmonies. What is your number one feature request? It would be flying faders. It would be nice to be able to change the mix as the song is playing and have that recorded. Also nobody wants it to stay at four. Eventually phones are going to get better and it'd be nice to have more than four tracks, but there is something wonderfully limiting about four. It forces you to make decisions. 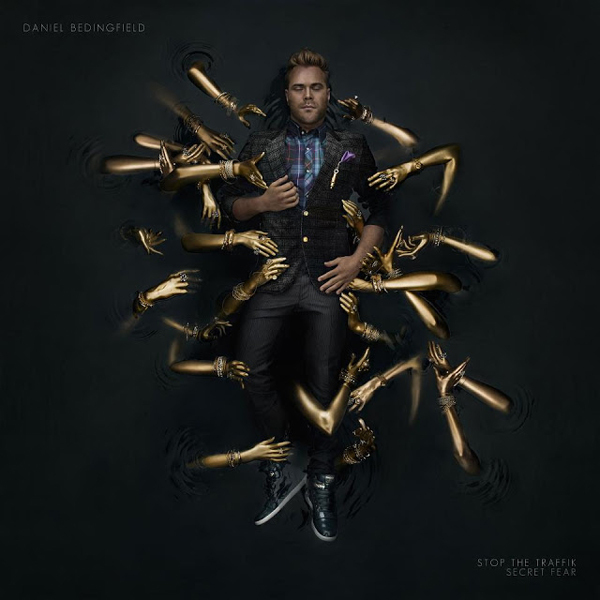 http://www.danielbedingfield.com/. Right now I'm on Twitter. My Twitter page is http://twitter.com/danielbedingfld and I have a Vlog on YouTube. "FourTrack is my favorite on-the-go, handy software... It helps me get my ideas down immediately and in multiple layers... With FourTrack, I can put the idea down exactly how I hear it."